Whether you are planning to have an intimate wedding or an exorbitant one, Soubhagya Park will surely match your unique choice, budget, and requirements. With a capacity of accommodating up to 300 in seating and 1050 in floating, the venue has a cosy and comfortable interior for the guests. It also offers an in-house team of caterers that puts all the efforts to delight the guests with mouth watering multi-cuisine dishes. 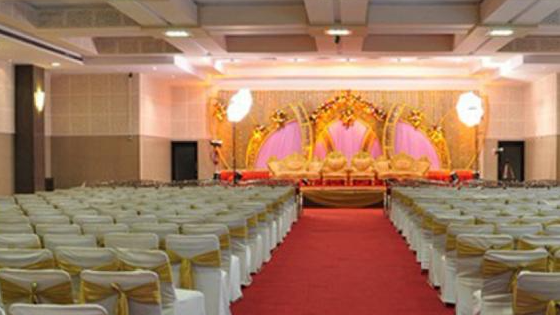 Soubhagya Park, Kandivali West, Mumbai is an ideal venue to host your wedding and reception ceremony. The venue serves mouthwatering multi-cuisine delicacies to choose from in both vegetarian and non-vegetarian food. Saubhagya Park Kandivali West allows you to get your own caterer from outside to serve your favourite cuisines to your guests. The decor team takes care of the decoration for your big day. Saubhagya Park Kandivali has an indoor banquet hall and an open-air lawn to cater to any event requirement. It is just a short walk from Kandivali Railway Station and easily accessible via the Western Express Highway. Soubhagya Park offers excellent menu and decor options on a budget for customers. The venue can be booked for the whole day to have your functions accordingly. Soubhagya Park, Kandivali West, Mumbai is located near Kandivali Station and Sardar Vallabhbhai Patel Vividhlakshi Vidyalaya which makes it easily accessible for all.